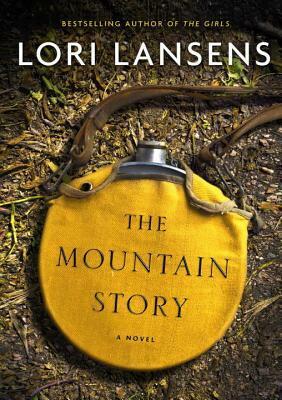 The next book I probably never would have read without being expected to, we have Lori Lansens’ latest novel, The Mountain Story. Although I know Lansens’ name from shelving her previous works (which were all bestsellers), this is the first time I felt interested in something she wrote. The blurb for the book sounded good, and the cover was interesting enough to catch my eye. (Seriously authors, never underestimate the power of a good cover!) Cheesy name choices aside (Wolf and Byrd? Really?) this book has so much going for it. Synopsis: Written as a letter to his son, Wolf tells the story of the time he was trapped on a mountain in California with three women. The four meet up unexpectedly after taking a cable car up the extremely steep mountain, and after a series of accidents, end up stuck on an outcrop looking out on to the city below. As the story progresses, each character’s past is revealed, and we learn what brought each of them to the mountain that day. Their shared experience brings out the best and worst in each of them. Lansens does a great job creating characters that you genuinely care about. At the very beginning of the book you learn that Wolf has set out that day to end his life. As stories are shared between the characters, we learn more and more about what drove him to that decision. After this, I might just read one of Lansens’ other books. If The Mountain Story is any indication of her writing ability, I can see myself becoming a big fan. Not once did I find myself skipping over paragraphs to get to the next bit of dialogue (a habit I have), and I couldn’t wait to tell some of my friends and family that they should read it when it comes out. So, three books in to my reading homework, and now the hard part comes. I’m going to have to push myself the read the other two.